Have a piece of your wedding dress preserved forever in a piece of jewelry! 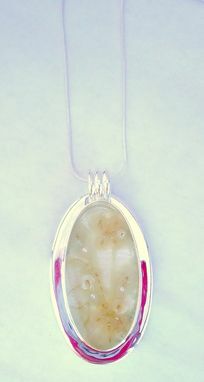 This client didn't have room to keep her wedding dress but wanted to keep a piece of it in a keepsake necklace. 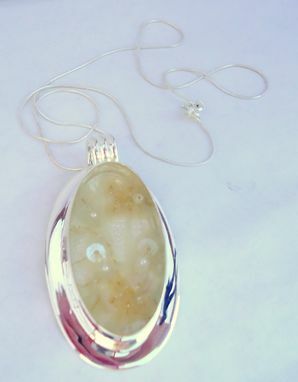 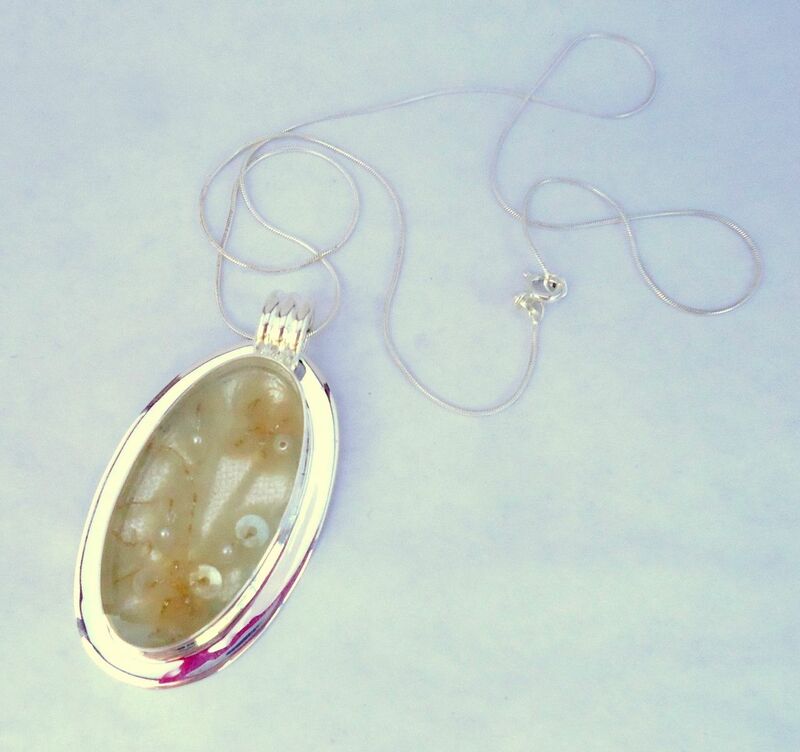 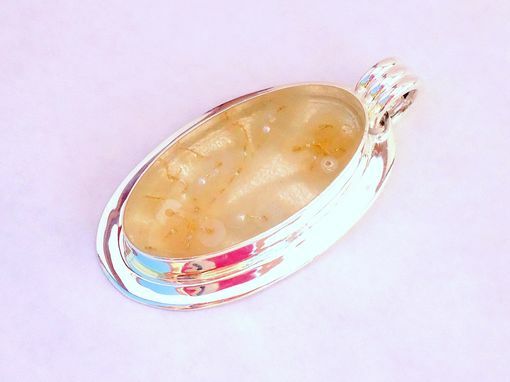 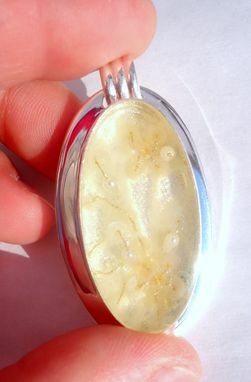 This necklace is made with a sterling silver bezel and resin. 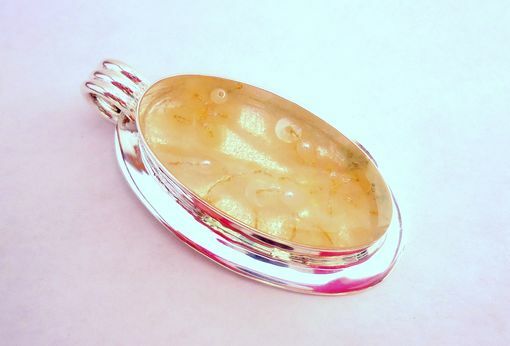 It measures approximately 2 x 0.75 inches.